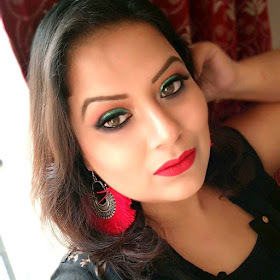 Finally, the wait is over as KIKO MILANO has already launched its first store (read the store review here)ever in India at DLF MALL OF INDIA. I got the chance to enter the store on the second day of its launching. I was almost lost in that store as THEY HAVE EVERYTHING, YOU JUST NAME IT AND THEY JUST HAVE IT, FROM MAKEUP TO SKINCARE KIKO MILANO HAD WIDE VARIETY OF PRODUCTS IN THAT STORE. I was pretty confused in the store while checking each and everything as what to grab and what not…Finally, I decided to pick 5 product from the store. Among that 5 product, today I am going to talk about the WATER EYE SHADOW from KIKO MILANO in SHADE 208. The reason for choosing this eyeshadow first to review it among all the product as I was very excited with the eyeshadow mostly. 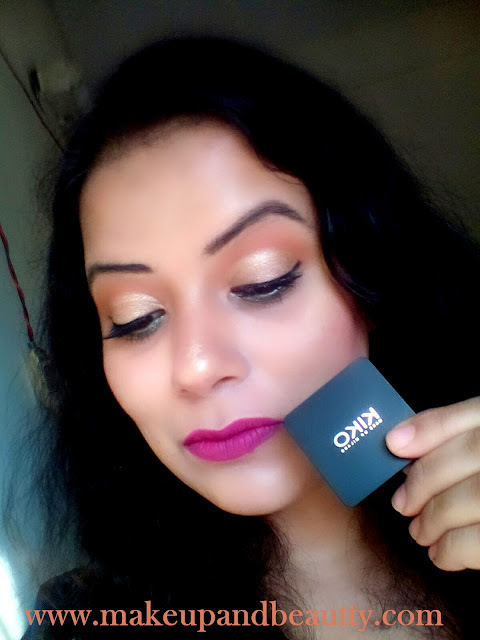 My friend, Nabamita who is an encyclopedia of makeup already told me that KIKO MILANO had some good eye shadows and she insists me to pick up this eyeshadow particularly because many international bloggers already claim that KIKO MILANO 208 IS THE DUPE OF MAC OH DARLING HIGHLIGHTER" and I can use it as an eyeshadow and as well as a highlighter...ahhh! please, someone, pat our back as we reveal the secret of this eyeshadow, we need it... :P .
The case is very sturdy and it closed by a click sound which is why I feel that the eyeshadows are secure enough. The name KIKO emboss in the case makes the entire packaging look classy. 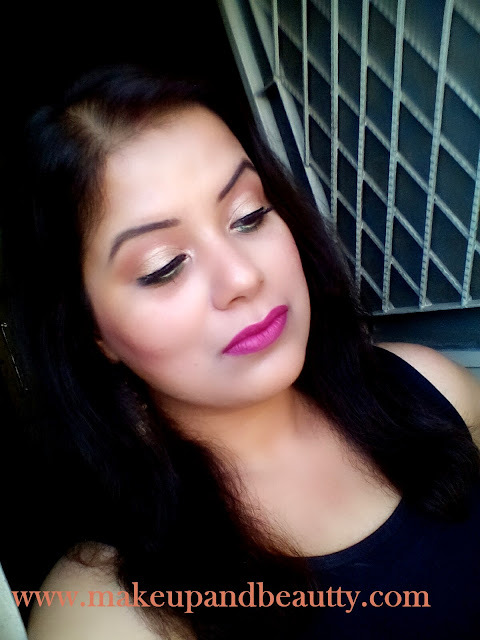 Well, as it was my first time that I am trying KIKO MILANO WATER eyeshadow so I somewhere in doubt that whether it will fulfill my expectation or not. I already swatched the eyeshadow in store and it was quite pigmented. But again a finger swatch can't decide the pigmentation of the shadow unless you try it on your lid. The very first time I use the eyeshadow with a dry brush all over my lid and I found it is medium pigmented. But the moment I use a semi-wet brush to apply the eyeshadow on my lid, oh Boy! you should have seen my face at that moment....I was amazed by its pigmentation. The eyeshadow was at its best pigmentation with that wet brush. 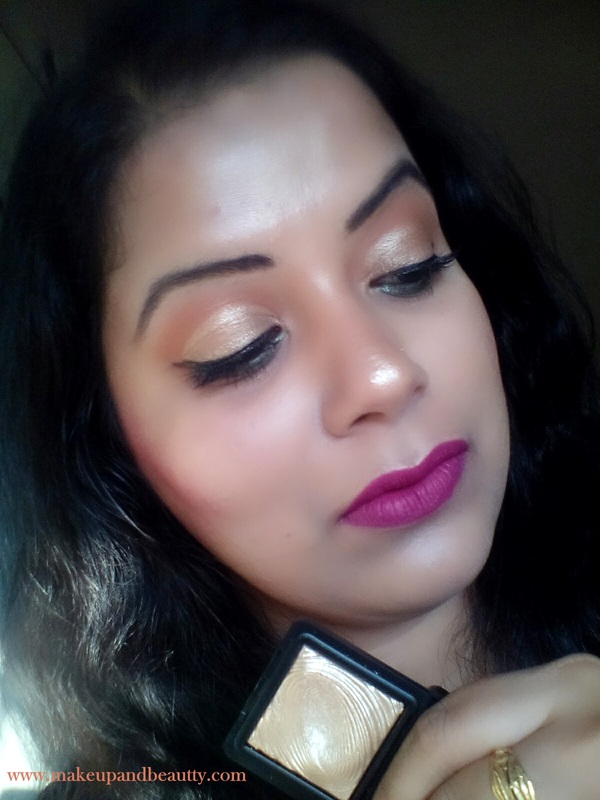 If you touch the eyeshadow with the finger you can feel that the texture is very soft and it glide on the finger like butter. Now, this makes me little cautious as I am a mad person who is famous for dropping her makeup usually from hand. The eyeshadow has no fallout and it stays pretty longgggggg time ....as long as you want it on your lid. 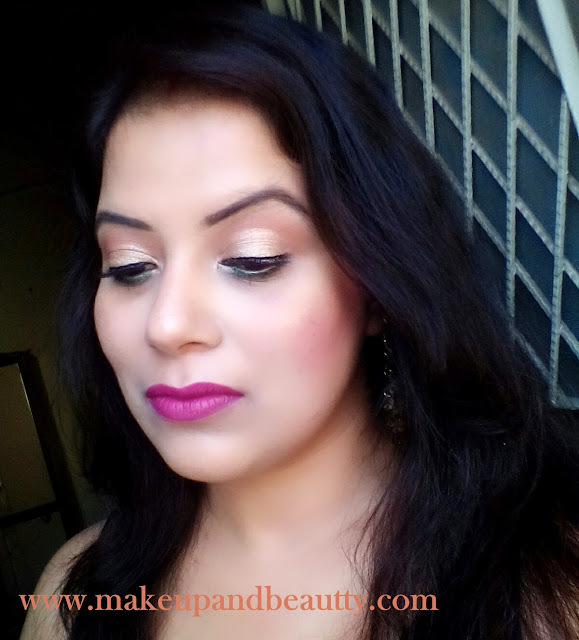 I tried out the shade an entire day, wearing it more than 7 hours and I found that it not fade a bit with the hours. 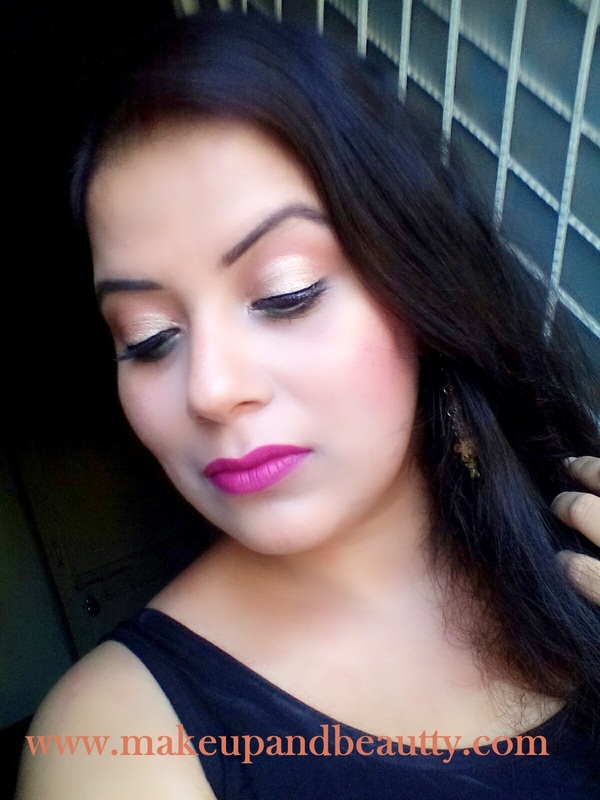 And the most important thing that I feel about this eyeshadow is that although it belongs to an Italian brand but still it is much affordable compared to those existing international brand that is already available in India. 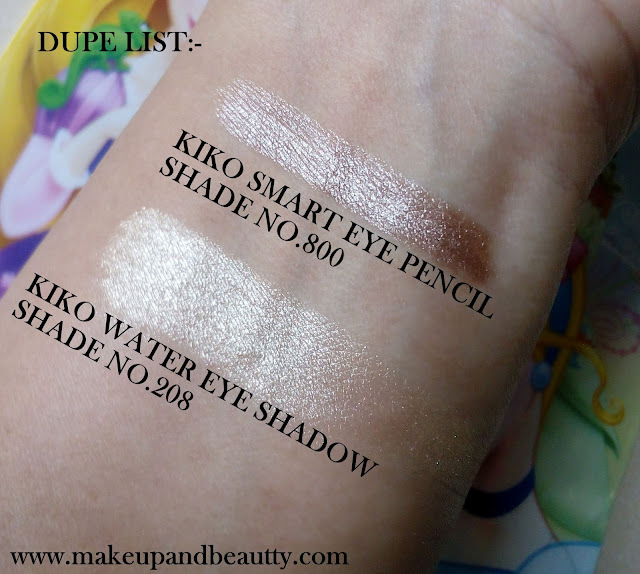 If you don't want to invest your money on this eyeshadow then definitely you can try KIKO MILANO SMART EYE PENCIL in shade no.800(reviewed here), which is the close dupe of this eyeshadow.